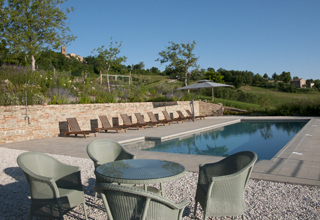 Set in the rolling hills of Le Marche, Casa San Nicola is a beautiful stone farmhouse available for rental. 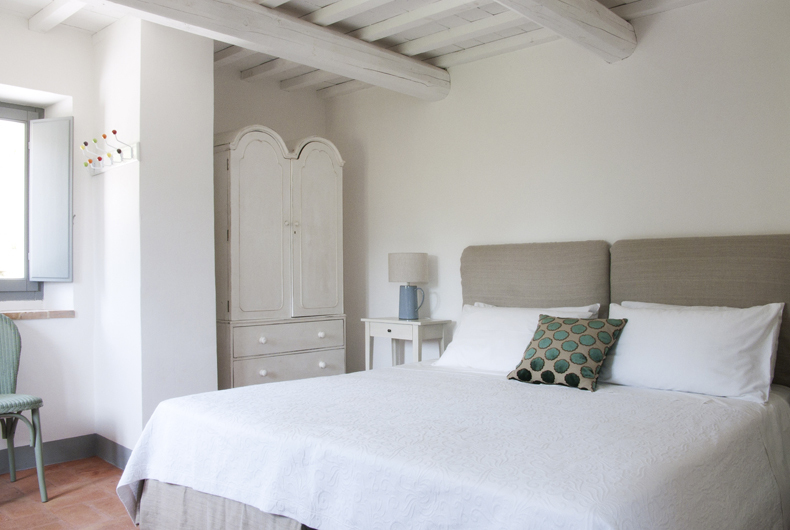 The house, on the edge of Sant’ Angelo in Pontano, a lively village, offers luxury accomodation for between 8 and 17 people, with a large private swimming pool and fantastic views across numerous medieval hill towns, towards the Adriatic sea. 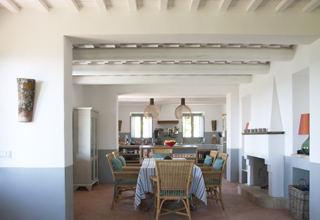 Casa San Nicola, restored in 2011, is a lovely 19th century stone farmhouse. 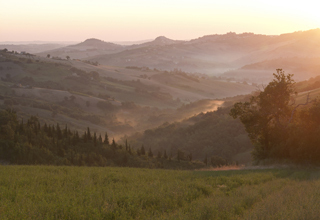 Surrounded by beautiful gardens, it sits in farmland, five minutes walk from Sant’ Angelo in Pontano. 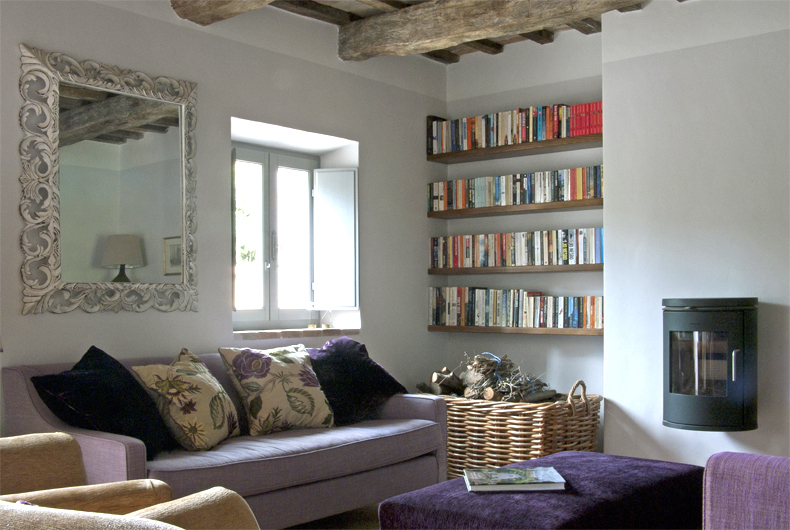 The house offers spacious luxury accommodation for up to 13 people in five bedrooms. 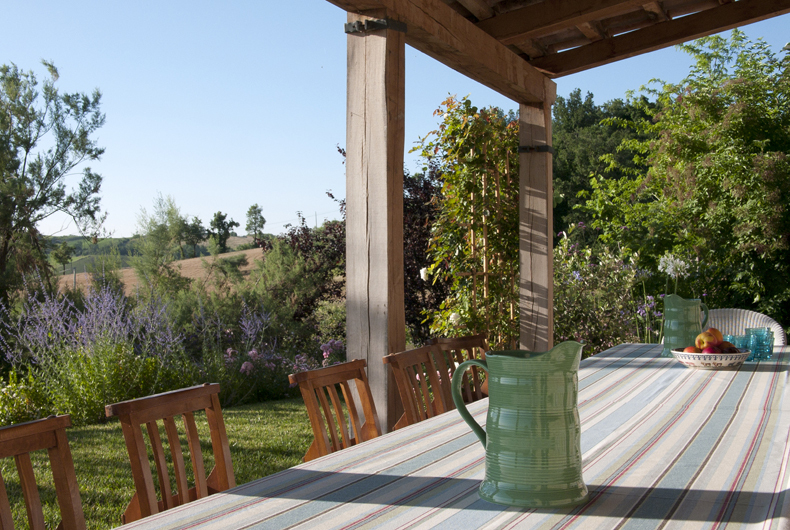 Outside, 20 metres away, in a beautifully converted barn, is additional accommodation for four more people. With underfloor cooling in the summer, and central heating, open fires and a wood burning stove in the winter, the house is suitable for large or more modest sized groups throughout the year. 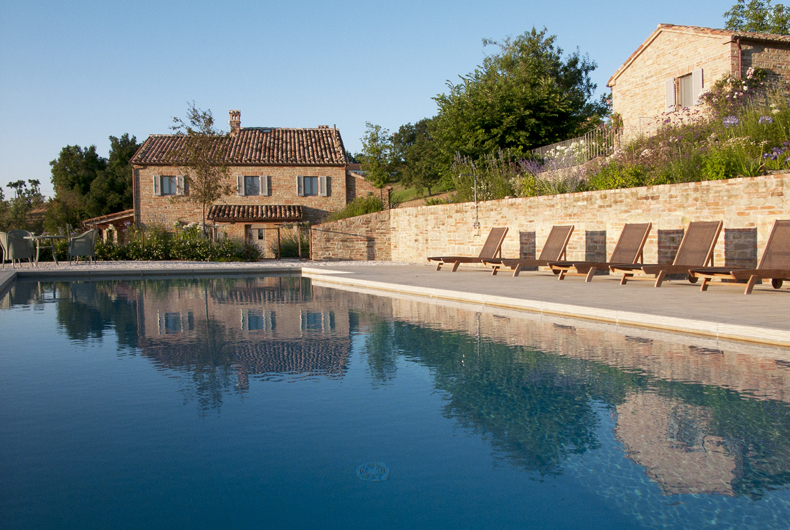 A large private pool (15 metres long), multiple terraces and a series of lawns, all with views across rolling hills, provide the perfect summer location for sunbathing and relaxing in the sun. The gardens, designed by a landscape gardener and featured in ‘Ville & Casali’, are full of colour throughout the summer. Sant’ Angelo, a five minute walk or two minutes in a car, is a lively village with a range of shops, bank, three bars and three restaurants. With the Adriatic coast to the east, the Sibillini National Park to the west and countless medieval villages and towns with beautiful churches and museums, Le Marche offers plenty for all. Alternatively, the house offers a relaxed hideaway for those who want to get away from it all.